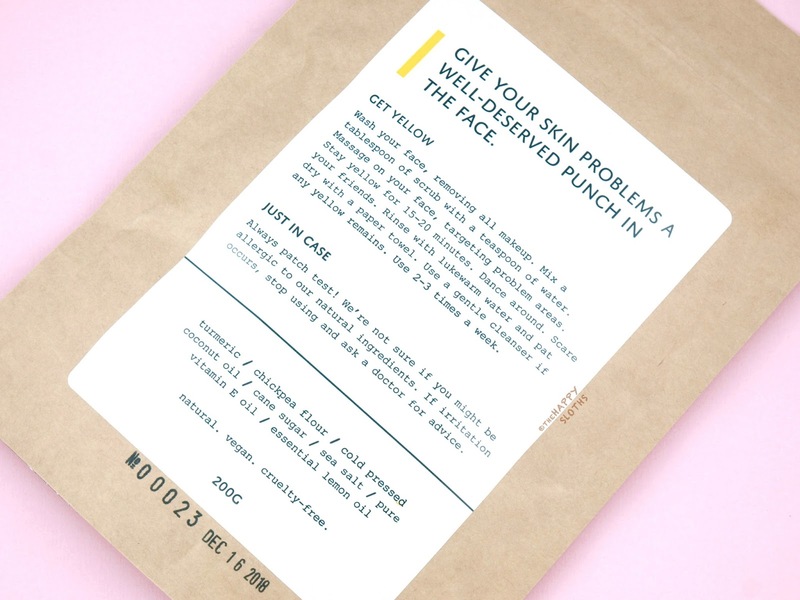 Stored in a resealable paper-plastic bag that reminds me a lot of the Jealous Body Scrub, the YLLO Turmeric Face Scrub is a face mask/scrub made with eight ingredients: turmeric, chickpea flour, cold pressed coconut oil, cane sugar, sea salt, vitamin E oil, and lemon oil. To use, simply take a small chunk of the scrub and mix it with a tiny bit of water and massage gently onto cleansed skin. The scrub has a really delicious scent that's lemony and nutty. 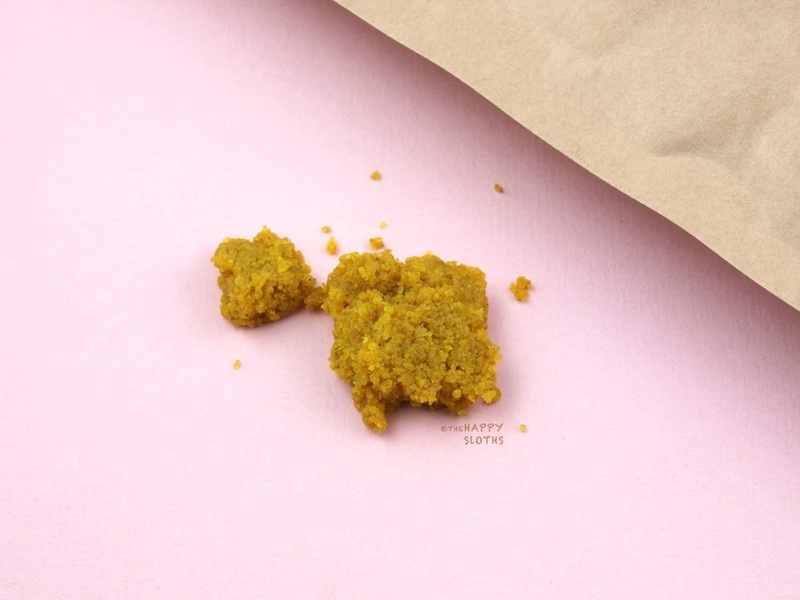 The turmeric spice gives it a bright yellow tint and thanks to the cane sugar and sea salt, the texture is very exfoliating but not abrasive. I've cooked with turmeric before and it's notorious for staining the nails and fingertips. Therefore, I was a tad worried about slathering this mask all over my face, fearing that it might leave behind a yellow stain. Fortunately, the YLLO Turmeric Face Scrub washed off very easily with the help of a wet washcloth. What little yellow coloration remained came off completely with some toner and a cotton pad. However, my fingernails did get pretty wrecked so I would highly recommend wearing a pair of disposable gloves when applying the product. You can probably use a little dish and a mask brush to apply as well but I don't think you would get the same amount of scrubby action as using your hands. Once applied, the mask is not irritating or stingy. After removal, my skin felt super soft and smooth and not at all greasy. I feel like the turmeric also gives a brightening effect, leaving my skin clean and glowy. Overall, I'd 100% recommend this product to anyone that likes to pamper themselves with a face mask. The product smells amazing and the scrubby texture is perfect for removing any dead skin and dry patches! 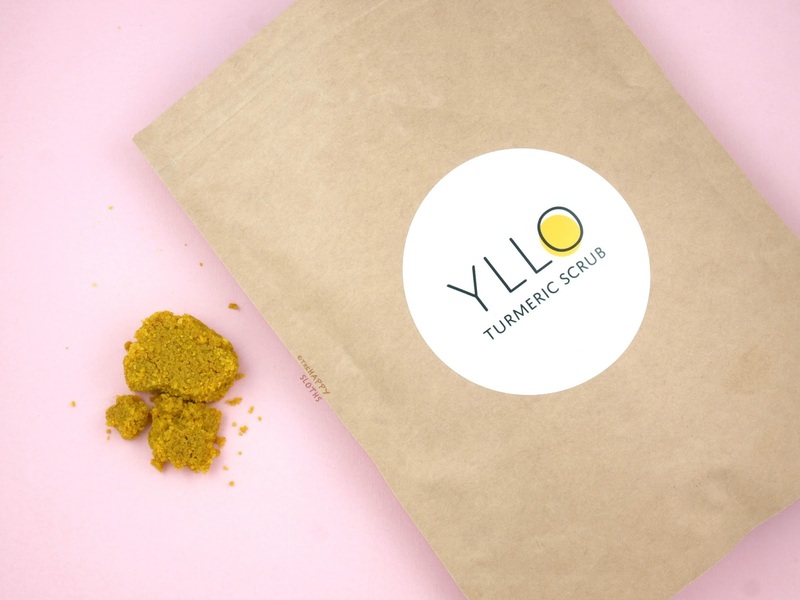 YLLO Turmeric Scrub is available online at ylloscrub.com. Shipping is free on all orders.